Firefighters rescued a man from a Costa Mesa home Thursday morning after a fire broke out in a bedroom. About 7 a.m., 25 firefighters responded to the one-story house in the 400 block of Traverse Drive, which is just southwest of where the 405 and 55 freeways meet, according to a news release from the Costa Mesa Fire Department. The first firefighters to arrive saw flames and were told that people were still inside the house. Though heat and smoke hampered rescue operations, firefighters managed to pull a man to safety, according to fire officials. They discovered that two other occupants at the home were able to escape the blaze before firefighters arrived. “There is no question that time was critical for this rescue,” said paramedic Greg LaFave. The rescued man was taken by paramedics to a nearby trauma center, where he was released Thursday afternoon, Costa Mesa Fire Chief Dan Stefano said. 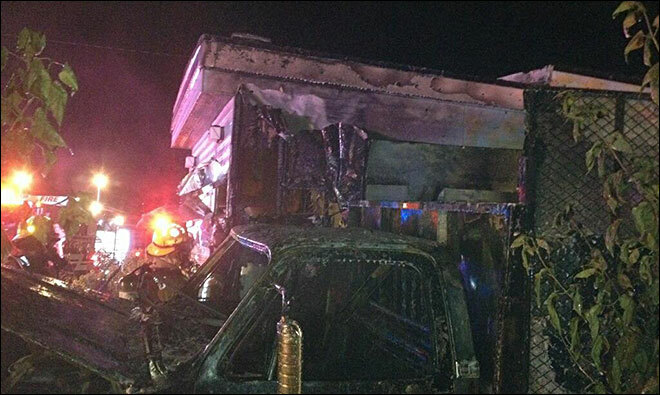 Flames were extinguished within 15 minutes of the first truck arriving, according to Battalion Chief Kevin Diamond. Several firefighting and rescue vehicles responded. The blaze caused about $90,000 in damage, according to a preliminary estimate. Investigators are working to determine what sparked the flames. Sheboygan firefighters rescued a woman from a burning house early Monday. Fire crews encountered heavy smoke and fire when they were called to the 600 block of Michigan Ave. about 7 a.m. Monday, according to a news release. Firefighters reported near-zero visibility inside the house because of the smoke. 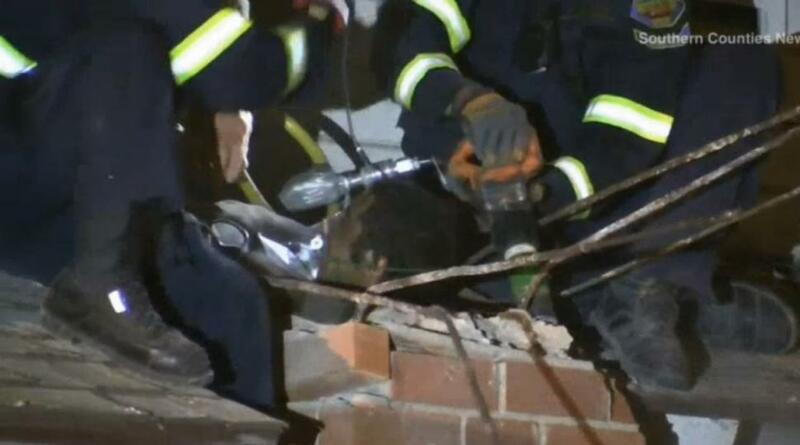 Firefighters used a ladder to rescue a woman who was trapped in a second-floor bedroom. She was taken to Aurora Sheboygan Memorial Medical Center with injuries that are not believed to be life-threatening. Firefighters also rescued two cats. It took 23 firefighters about 20 minutes to being the fire under control and crews remained on the scene for more than five hours. The cause remains under investigation. Two fires within a 24-hour period remain under investigation today after Georgina fire crews rescued a woman from a burning home and doused a burning boat in unrelated incidents. A Georgina woman remains in hospital after an overnight blaze in Island Grove. Firefighters battled heavy smoke and flames to locate and rescue the lone occupant of a Norval Road home after responding to the call at 1:36 a.m. Monday. The woman was treated at the scene and transported to Southlake Regional Health Centre for suspected smoke inhalation. Estimated total damage is $160,000, said Georgina Fire Chief Steve Richardson, who commended the quick response of firefighters for rescuing the woman and bringing the blaze under control. The cause of the fire, as well as if there were working smoke alarms in the home, remains under investigation today. The cause of a second fire, in the south end of Keswick Sunday, is being treated as suspicious. York Regional Police and the Ontario Fire Marshal’s Office are investigating a boat blaze after fire crews doused a burning boat parked on a trailer at a Dovedale Drive residence at around 4:30 a.m.
IOWA CITY, Iowa —Rescue crews tunneled through two walls at the University of Iowa Hospitals and Clinics to save a worker who fell into a large ventilation shaft. The Iowa City Press-Citizen says the man was performing work on the hospital roof when fell down the 25-foot deep shaft about 7:50 a.m. Friday. Iowa City Fire Department Batallion Chief Brian Platz says the shaft was about two stories deep. Nearby ambulance workers were able to lower a ladder down and start treatment before rescue crews cut through walls to reach him about 30 minutes later. Platz says the man was conscious and alert during the ordeal. 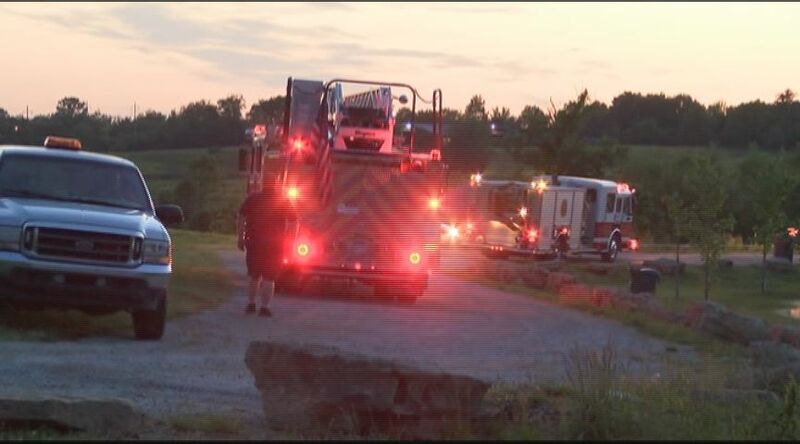 SHELBY COUNTY, KY (WAVE) – A firefighter was injured while he was helping rescue a man who got stuck in a pay lake drain Thursday evening. According to Simpsonville Fire Chief Ronnie Sowder, around 8 p.m. the man was in a kayak trying to clear debris from a pipe in Tapp’s Pay Lake, located at 8741 Shelbyville Road. When the pipe came unclogged the suction caused the man to get stuck in the drain. Water rescue teams were able to get the man out of the lake but the firefighter was injured in the process. The firefighter was taken to Jewish Hospital in Shelbyville with foot injuries. 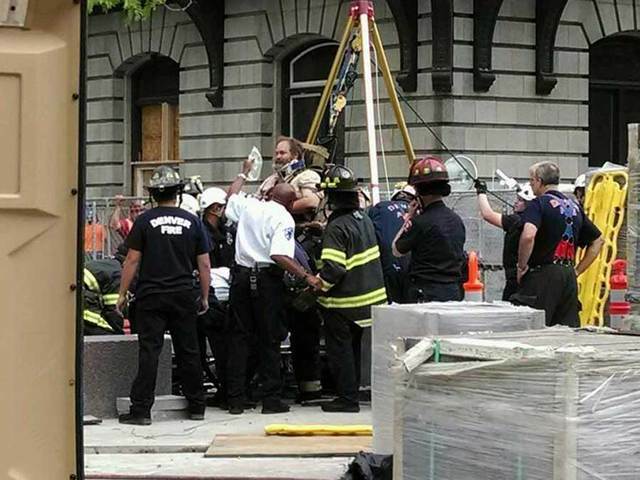 The kayaker was taken to University of Louisville Hospital and is expected to be ok.
DENVER – A man was rescued by Denver firefighters after falling into a hole at a Union Station construction site. The accident occurred at about 2 p.m.
Crews at the scene told 7NEWS that the man is a worker at the site and was in the hole when he started to climb out on a ladder. The man then slipped off the ladder and fell 10 feet. The worker suffered a leg injury but was pulled out of the hole by a safety winch and transported to an area hospital in good condition. The site is part of the half-a-billion-dollar transit center that has been four years in the making. 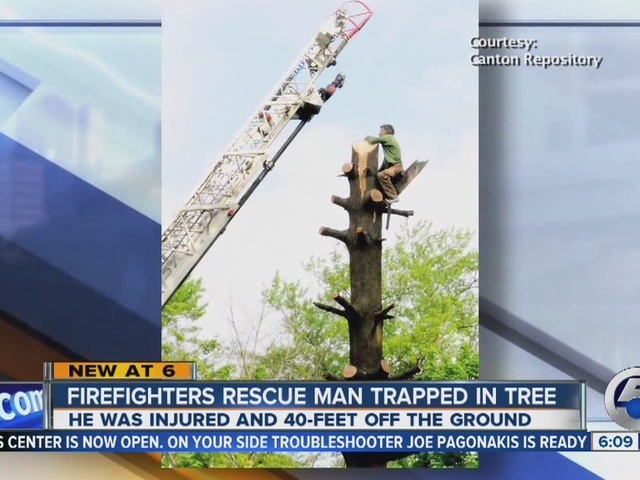 CANTON, Ohio – Firefighters used a ladder from an aerial truck on Thursday morning to rescue a man who was trapped in a pine tree behind a Canton home. Mark Bagnoli, 59, was a trimming a tree for his parents on 38th Street NW when he was seriously injured and became stuck on a partial limb about 40 feet off the ground. Captain Dan Reed, part of Technical Rescue Operations Team, said Bagnoli was hurt while trying to cut down a large chunk of the tree. “All the tree limbs were cut off and he was trying to take the top off, probably approximately a 30 foot section of the tree base, and it came down and struck him,” Reed said. Reed said Bagnoli suffered a fractured leg and there was urgency to get him down as quickly as possible. 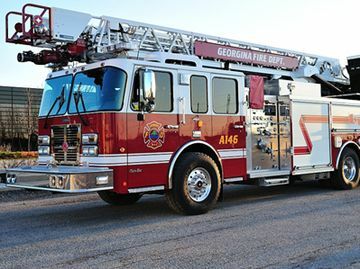 A fire truck with a 105 foot tall ladder was positioned in the backyard and Captain Reed, along with Firefighter Eric Dyrlund, climbed the ladder and used harnesses to save Bagnoli. 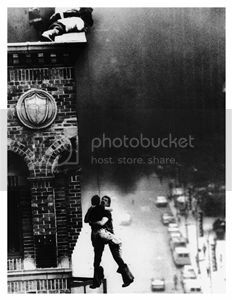 Firefighter J.C. Ward, who initially served as the acting captain at the scene, developed the rescue plan. “He had injuries. We had to be pretty careful to his leg and hip, so basically it was tie him off to the tree itself to make sure he was secure. He didn’t have to worry about falling,” Ward said. Reed and Dyrlund carefully brought Bagnoli down the ladder and he was transported to Aultman Hospital. The rescue team acknowledged it was a bizarre and challenging rescue that lasted 30 minutes, but they added firefighters never truly know what to expect when they receive a call for help. “On any given day, you never know what we’re going to be into,” Ward said. This is what you call a real nightmare before Christmas. Police in California say a woman’s ex-husband attempted to slither down her home’s chimney before getting stuck in an incredible break-in attempt that was caught on video. 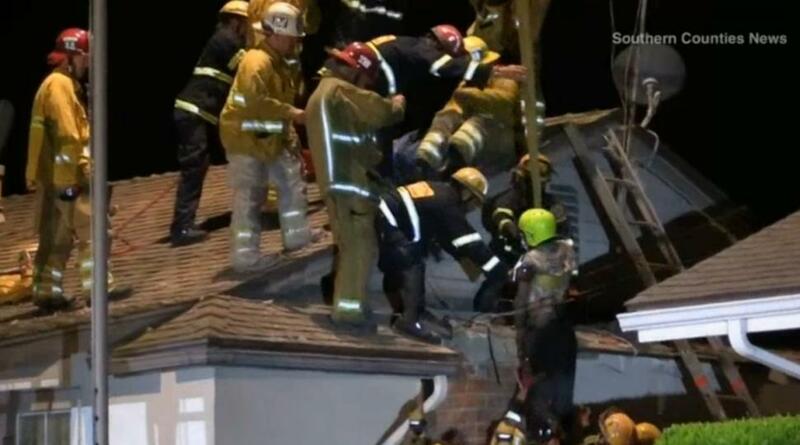 Cameras outside the Orange County home captured the jilted ex-lover being pulled from the dismantled chimney early Monday morning, KTLA reported, in an outrageous sight that would leave Kris Kringle in tears. AUGUSTA, Maine (NEWS CENTER) — Firefighters pulled a man from his burning apartment Tuesday morning. Firefighters arrived at the apartment building at 11 Cedar Court around 5:45 a.m. Fire officials said the fire was mostly contained to a unit on the second floor. When firefighters went up to the unit, they found a man suffering from smoke inhalation. They took him out of the apartment and medical officials transported him to the hospital. Everyone else was evacuated from the building. Crews had the fire under control in about an hour. The state fire marshal is going to investigate.